JJ Weeks has been involved in ministry in some capacity since childhood. Whether singing solos, performing in church musicals, leading worship, or being a music minister, music and ministry have always gone hand in hand. That heart for ministry led Weeks to attend school in pursuit of a degree in youth ministry, where he ultimately felt called to step out in faith and continue a career in music full-time. In 2001 he took that step and started touring the southeast. In 2003 he pulled a band together for a special worship night at his local church and never looked back. Singer, songwriter, musician and now wife and mother, Ayiesha Woods is a multi-talented artist who has certainly made her mark in Christian music and ministry. Ayiesha was born in Long Island, NY and spent her early childhood on the British island of Bermuda, where she attributes her roots for diversity and her eclectic musical pallet. Ayiesha began writing songs at an early age and in her late teens realized that it was the direction in which the Lord was calling her. 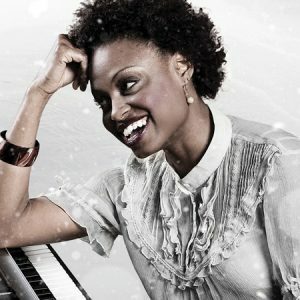 She recorded an independent record that was later discovered by record label executive, Toby Mac. Ayiesha signed with Gotee records in 2004 and released her debut project entitled “Introducing Ayiesha Woods” (2006) which went on to receive a Grammy Nomination, Dove nominations and Marlin Awards. In collaboration with industry giants Ian Eskelin, Barry Weeks and Tony Wood, Ayiesha is excited to introduce the world to her newest single, STOP. The new single will build upon her early successes in Christian music while infusing a new high energy vibe. Ayiesha and her husband, Joseph have 3 boys; Joseph II, Benjamin & Asher. 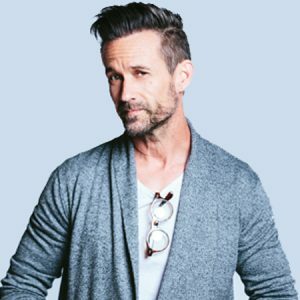 In 2007, John was signed to the Christian label Beach Street Records and has released his debut album The Blessing in March 2007. His single “While I’m Waiting” became an American Christian radio hit after appearing in the movie Fireproof. John has completed his third studio album As For Me and My House, set for release on May 3, 2011. The new project features 11 tracks including the title track “As For Me and My House”. The album is produced by Jason Hoard and is his first release on City of Peace Records. His fifth studio album, Crazy Faith, was released on August 21, 2015, by City of Peace Media. The title track was featured in War Room. 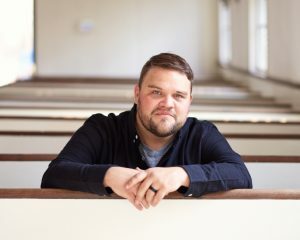 He toured with Grammy Award-winning band Casting Crowns and Leeland on the spring leg of The Altar and the Door tour, which ended on May 31, 2008. Please complete the following booking form, and an Ignite Agent will contact you soon! (C) 2018 IGNITE OUTREACH, INC.